Feng Shui is the 5,000 year-old art of energy alignment with one’s environment. 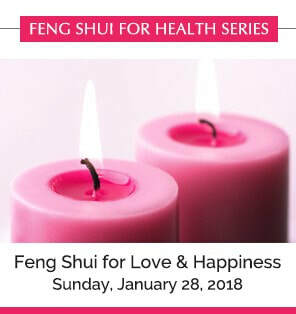 The objective of Feng Shui is to get your environment in alignment with who you are and where you want to go in life in order to harmonize and optimize your energy at home, work and play. Feng Shui is sometimes referred to as acupuncture for your living space because it is based on the same principles of Five Elements in Chinese medicine. Just as acupuncture works by activating energy flow and remove blockages and balance the Five Element organ systems in your body to restore healthy functions, so too does Feng Shui guides you in removing blockages, enhances positive energy flow and balances the Five Element expressions in your living space to help you manifest health, success and happiness. Level 1 Certification (Practitioner Consultant) starts one on the road to be a Feng Shui consultant where one should be competent in identifying and trouble-shooting the energetic imbalances within any space and using the Bagua Map to help the clients realign their home and work according to their personal Element and optimize all areas of their life through basic and easily accessible Feng Shui solutions and fixes. Sign Up Here for Course on 5/6/2018. Level 2 Certification (Senior Consultant) empowers the consultants the knowledge and ability to dive deeper into clients’ specific needs, whether it’s physical health, financial or relationship goals and help client with space planning and remodeling specifically tailored to clients stated goals. 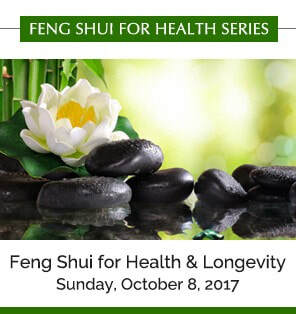 Level two includes basic knowledge of Feng Shui design and space planning from a Taoist astro birth chart perspective. Level 3 Certification (Master Consultant) helps one achieve mastery level in Feng Shui and enables one to work with architects to design from ground up structures to remodels for public, commercial and residential projects that leverage all the principles of Feng Shui for environmental, health and economic sustainability. Level three also authorizes one to teach Feng Shui courses and to certify level one consultants. Sometimes life can leave you feeling like you've been put through a washing machine and then hung out to dry - with wrinkled skin and bad hair. Thanks life! 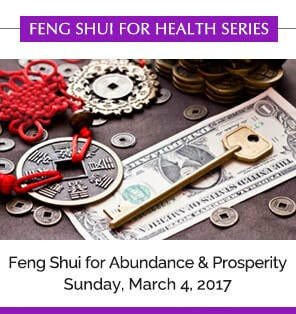 If you don't want your power to be given away, it is time to bring out the healthy, calm and centered individual that you are by applying a little Feng Shui. This ancient Chinese science and art of placement reflects the philosophy that life-force energy, known as "chi", influences your outer surroundings and has a powerful impact on your lifestyle, diet, mental attitude and spiritual disposition. Feng Shui divides the world into five elements: wood, fire, earth, metal and water. If you have an area of your life that doesn't feel quiet right, try harmonizing the elements to make it more effortless. In this comprehensive series, Dr. Mao Shing Ni, Master Teacher of the Integral Way Taoist Tradition shares his modern take on this ancient concept. Learn his easy steps to connect your mind, body, spirit, and space all together for a healthy and abundant life. This fun, interactive series is structured into five courses which qualifies you to take the Certification Workshops. 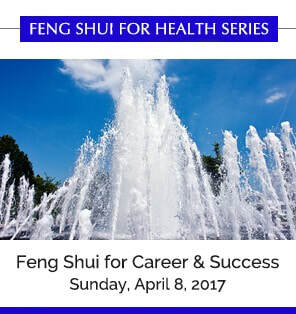 It’s great for anyone interested in becoming a Feng Shui consultant, for those who would like to add to their professional skill set (realtors, building and landscape architects, interior designers, etc.) and for someone who is interested in learning in depth from a 38th generation Chinese medicine, leading expert. User-friendly and no complicated calculations are required. 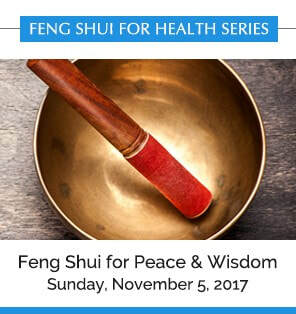 Instead, the interaction between the five Feng Shui elements provide practical strategies aiming to create a space that allows chi to flow optimally. All courses are available as Distance Learning Courses and if you are a Licensed Acupuncturists, provides CEU required for licensure renewal. Take All Five Workshops and Save on Bundle Pricing. Take All Courses Here. Inside-Out Wealth - How do You Carry Wealth?